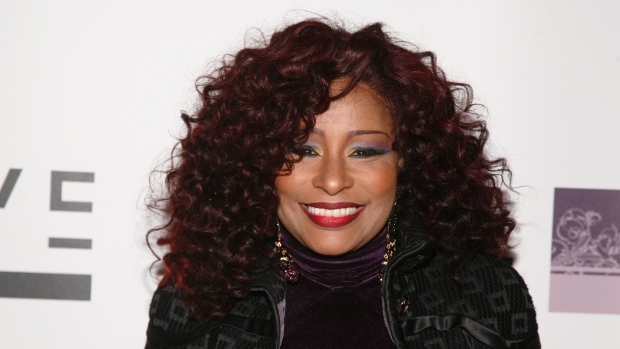 TORONTO -- R&B legend Chaka Khan will be among those paying tribute to Joni Mitchell at the upcoming Luminato Festival, where Rosanne Cash, Laurie Anderson and Maxi Priest have been added to various side programs. Organizers of "Joni: A Portrait in Song -- A Birthday Happening Live at Massey Hall" say Mitchell's 70th birthday celebration will include an appearance by Khan, who recently marked her 60th birthday and 40th anniversary in the music business. Khan joins Irish singer-songwriter Glen Hansard, Canadian musician Rufus Wainwright and jazz singer Lizz Wright for performances slated June 18 and June 19. Music producer Danny Kapilian says he's waiting to confirm more stars -- he's got his fingers crossed for Herbie Hancock, who paid homage to Mitchell with his Grammy-winning album "River: The Joni Letters." And he adds that Mitchell says she intends to be there. The tribute is among the marquee events at this year's Luminato Festival, an annual showcase of art, literature and theatre in Toronto that includes a Chinese opera directed by Atom Egoyan, a showcase of risque puppetry and a late-night music revue curated by Broken Social Scene member Jason Collett. Artistic director Jorn Weisbrodt says additional musical guests include Serena Rider, k-os, Kid Koala, Sarah Harmer and Patrick Watson. After Weisbrodt outlined the highlights at a Tuesday press conference, Wainwright admitted he was still figuring out what he would perform at the Mitchell tribute. He said he was thinking about possibly singing "A Case of You" but also had his eye on a duet with Khan. "Rufus singing with Chaka Khan would be kind of an amazing coming together of the Rufus brand, considering her first band (was also named Rufus)," said Wainwright, partially directing his comments to Kapilian, who was standing nearby. "So if you can get Rufus and Rufus that would be nice. I'm putting it out there." Egoyan spoke briefly at the press conference before heading to rehearsals for another opera, "Salome," which he launches for the Canadian Opera Company on Sunday. "I will say it's unusual to be working on two operas where you have manipulative women causing the death of very powerful men," Egoyan said to chuckles from the audience. "I'm not trying to create an agenda or trying to rebrand myself in any particular way but that is what the two operas are essentially about." Guo Wenjing's opera "Feng Yi Ting" will be sung in Mandarin with English and Mandarin surtitles. It runs June 20 to June 22. Raunchy puppets come by way of Ronnie Burkett's "The Daisy Theatre," inspired by the illegal underground "daisy" puppet shows of Nazi-occupied Czechoslovakia from June 14 to 23, while the Mark Morris Dance Group will perform "L'Allegro, il Penseroso ed il Moderato" from June 21 to June 23. The seventh annual Luminato festival runs June 14 to June 23. This article has been viewed 4,243 times since being added on April 16, 2013.